Singapore is a small island with limited land resources, resulting in high density problem. 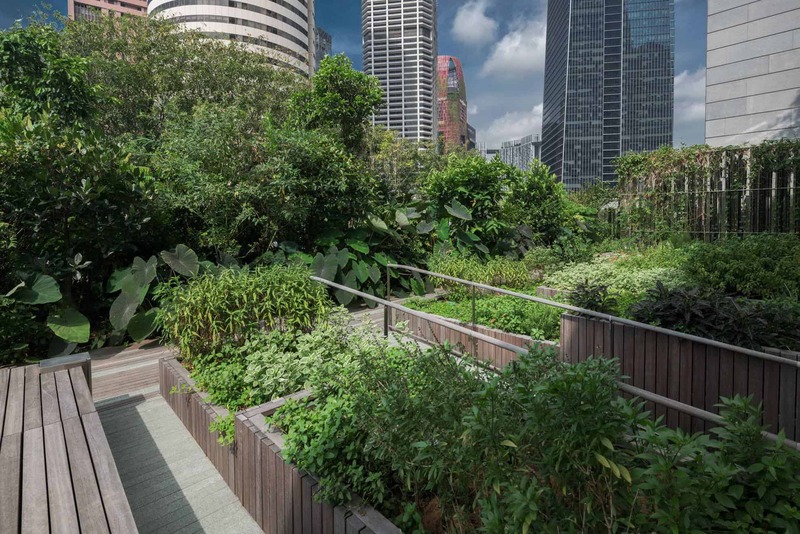 The Urban Redevelopment Authority (URA), an authority under Singapore government, has initiated a concept of ‘City in a Garden’ to develop their citizens’ well-being and livability of the city. They have set aside 9% of land area for on-ground greenery, including 4 nature reserves and 20 nature areas. However, as a small island with limited area, the on-ground greenery is not enough. Thus, the URA has introduced an approach targeting to maximize greenery with minimal land take. 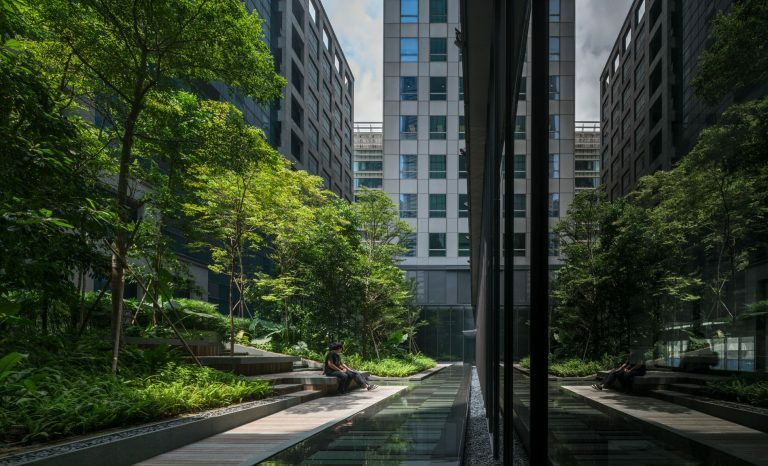 Landscaping for Urban Spaces and High-Rises (LUSH), first launched in 2009, is a program that incentivizes injecting greenery into development projects across the country. With collaboration with private sector, stakeholders (architects, developers) and agencies, LUSH has contributed over 130 hectares of greenery islandwide. After the success of the first phase, LUSH program is moving on to the next phase which is to enhance the quantity of the green area, for example, to integrate vertical greenery or rooftop urban farming. OUE Downtown is a renovation project by Shma. 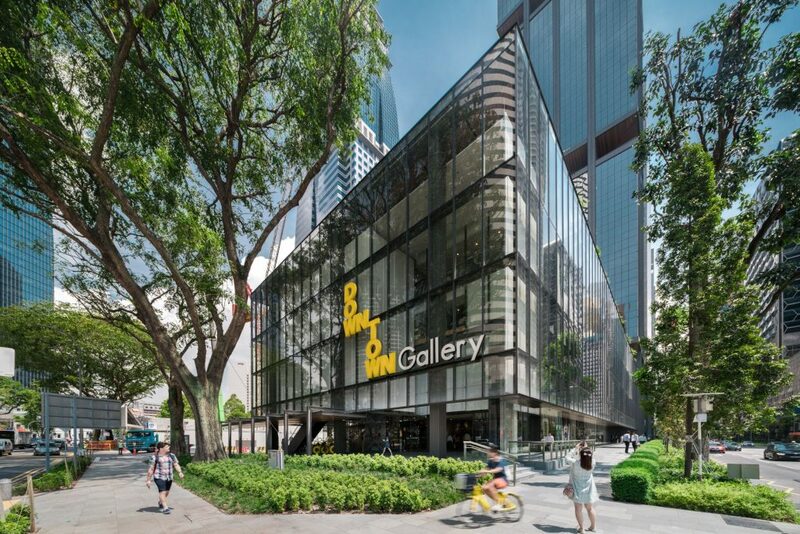 The previous office building was a landmark on the Shenton Way, a road in a major commercial area in Singapore. Today, OUE Downtown is a mix-used building with greenery injected into different parts of it, responding to LUSH incentive. The renovation has turned the building into a new green building, adding more green space into the neighborhood and the city. The 1 km. 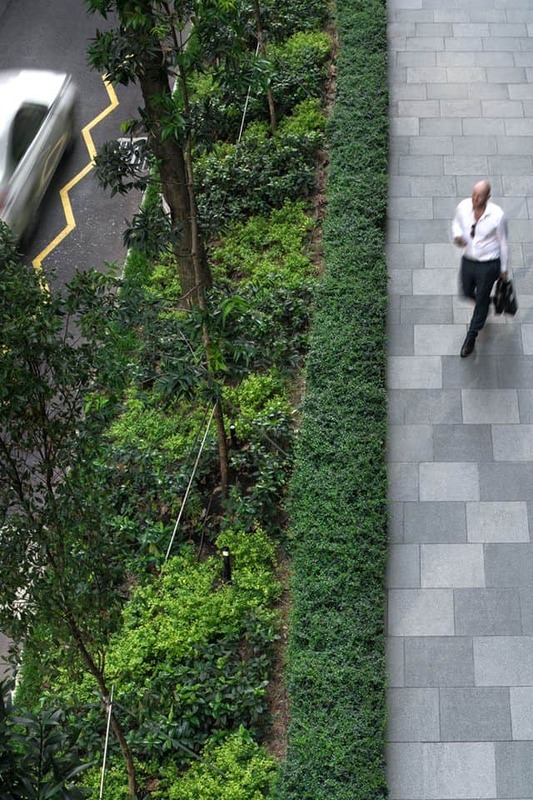 long front walkway of OUE Downtown is designed under control of Urban Redevelopment Authority and NParks to maintain the image of Shenton Way and the Singapore’s standard quality of a public walkway. The planting species chosen are mixture of the existing ones, local species, and some new species. All of them are planted nice and neatly along the walkway. The outdoor seating area on the 4th floor connects the office lobby and the commercial area. The green area is lifted up, screening the city background from the area. Mixed planting species are chosen to create a forest-liked atmostphere, inviting people to come out and get relaxed in the nature. The greenery also helps to lower the temperature and create an ideal micro-climate all day long. The outdoor area on the 5th floor is a communal rooftop urban farm. All of the planting species are edible. The area is divided into smaller plots easily accessible. The farm is planned in cooperation with the Edible Garden team in Singapore, to ensure the plants selected are suitable and require low-maintenance. The outdoor swimming pool on the 7th floor is surrounded by mixed planting species. 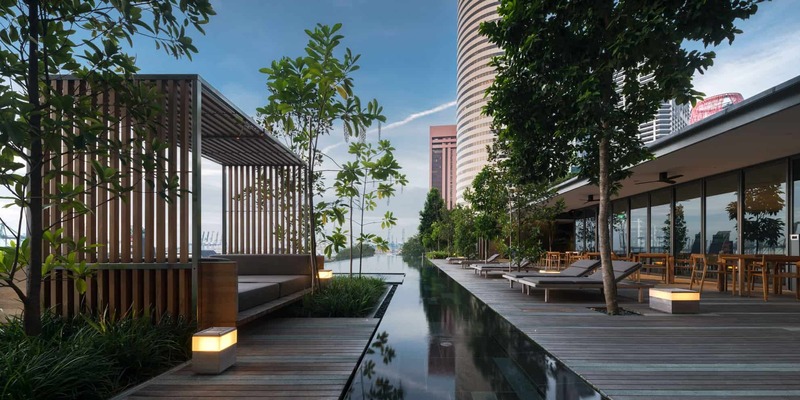 Cabanas and daybeds are placed throughout the area, inviting residents to come and take a rest among greenery while enjoying the beautiful scenery of Shenton Way neighborhood. 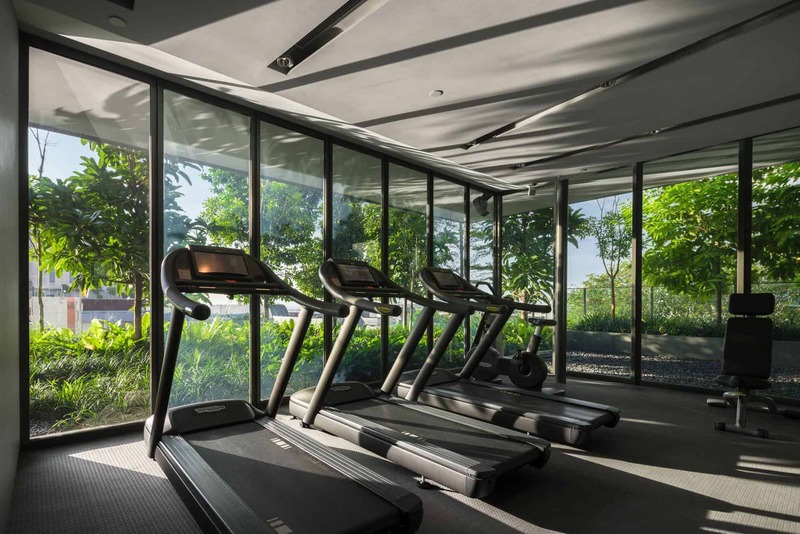 The fitness, outdoor shower and breakfast lounge are all located in the same area which is embraced by lush nature.